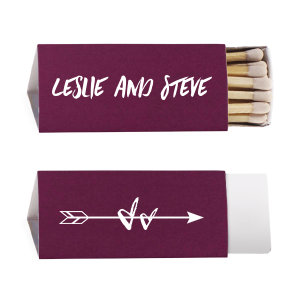 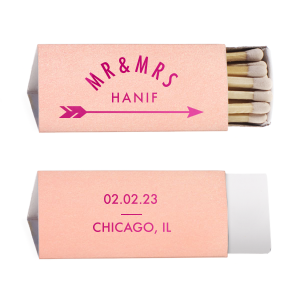 Give your personalized bachelor & bachelorette party favors a modern spark with For Your Party’s custom designed triangle matchboxes. 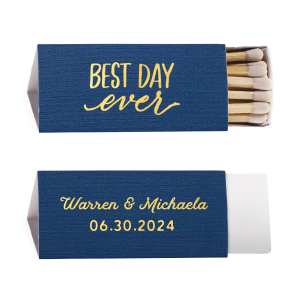 Design the perfect match by browsing our curated galleries of ideas, then choosing the color and foil stamping combinations. 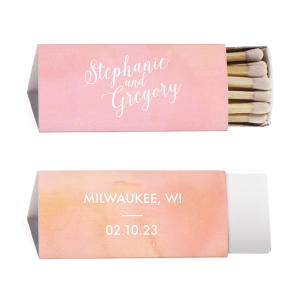 They even make cute additions to a bridesmaid gift bag. 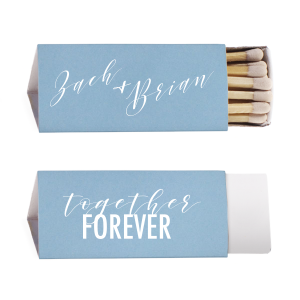 Take a new angle on traditional matchbox party favors with For Your Party’s personalized bachelor and bachelorette triangle matchboxes. 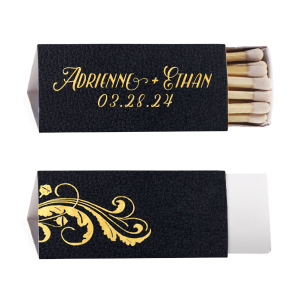 Lighting celebratory candles and cigars is extra special with custom designed bachelor and bachelorette triangle matchboxes. 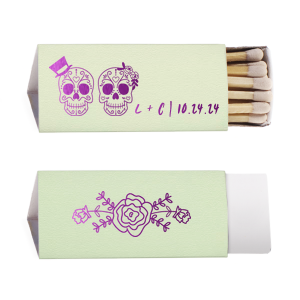 Find the perfect look for your personalized bachelor and bachelorette party triangle matchboxes by shopping our curated galleries of ideas, matchbox color options, and foil stamping choices. Choose a classic monogram or initials design, or go with a clever wedding pun like “a perfect match,” either way your personalized bachelor and bachelorette party triangle matchboxes are sure to be a big hit! 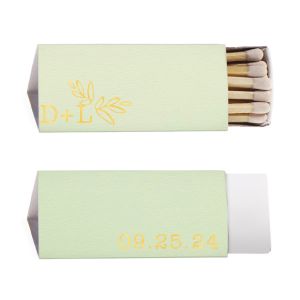 Your party guests will love taking home these lovely and useful party favors. 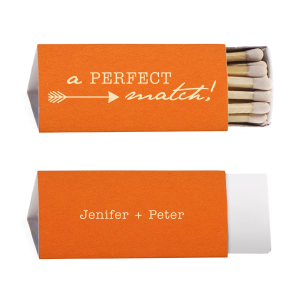 Design your personalized bachelor and bachelorette party triangle matchboxes today!